Phuong Khanh Nguyen, a 23-year-old beauty contestant, has become the first-ever Vietnamese Miss Earth, in a competition between 86 hopefuls. 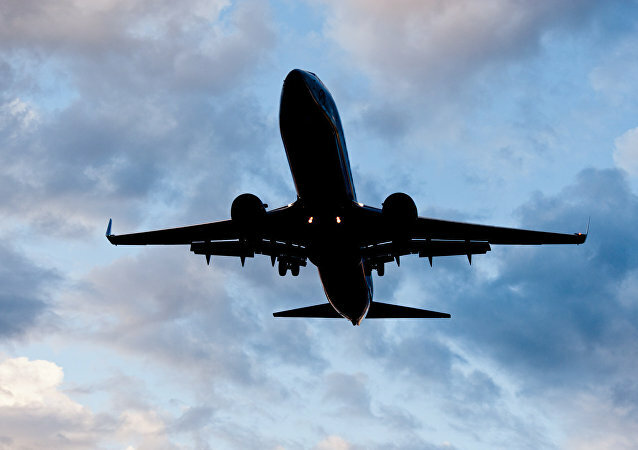 China's airlines 737-800 Boeing crash landed at Manila Airport, AirLive reported Thursday. The media specified that the emergency evacuation was underway. Almost a thousand young people wearing underwear, tribal loincloths, and g-strings, as well as body paint, have gathered in the center of the Philippines’ capital to go for a run. 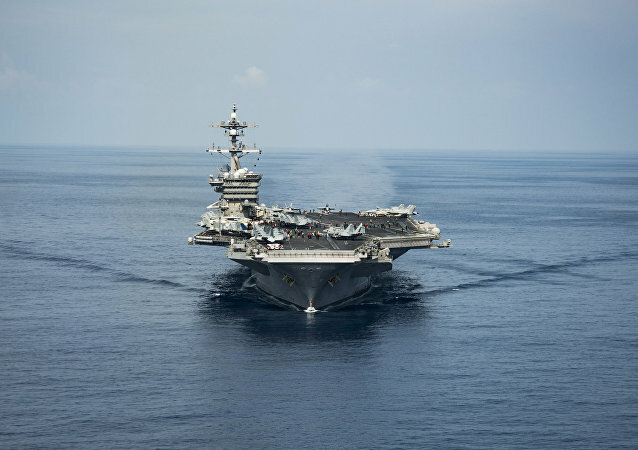 The US vessel is set to visit Vietnam next month. It will mark the first time a US aircraft carrier has visited the country since the end of the Vietnam War. Mount Mayon, the most active volcano in The Philippines, lurched back into action on Monday as lava slowly rose to the lip of the crater, prompting officials to order the evacuation of thousands. The ever-controversial populist president of the Philippines, Rodrigo Duterte, has publicly threatened to install an emergency authoritarian government if his oligarch and drug lord enemies don’t fall in line with his policies. The US leader has congratulated Philippine President Rodrigo Duterte on the liberation of Marawi City from Daesh-inspired terrorists and allotted funds to help meet the humanitarian needs of displaced civilians. A draft of a statement on problems in Asia, drawn up by the chair of the summit, the Philippines, "mentions the importance of humanitarian relief provided for victims of natural disasters in Vietnam and a recent urban battle with Islamist militants in the Philippines." However, it fails to address the exodus of Rohingya Muslims from Myanmar. 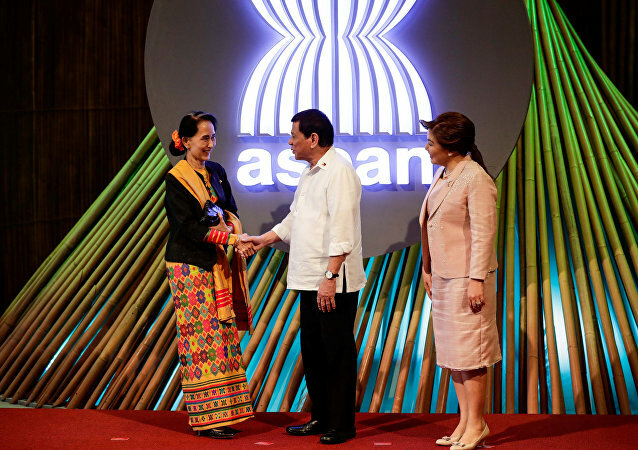 These days seem to be quite busy for Philippines President Rodrigo Duterte, who is currently hosting the 31st Summit of the Association for Southeast Asian Nations (ASEAN). He has kicked off the conference, which started with pageantry and a traditional cross-body handshake photo, and even performed for President Trump at the Summit's gala. 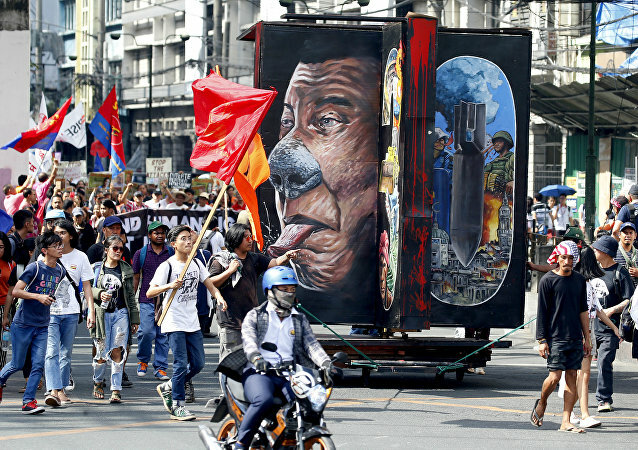 Thousands of people have marched toward the US embassy in the Philippine city of Manila on Sunday, protesting the arrival of US President Donald Trump for the 31st Association of Southeast Asian Nations (ASEAN) Summit and his policy. Hundreds of activists in the Philippines capital of Manila have staged protests against the visit of the US President Donald Trump for the summit of the Association of Southeast Asian Nations (ASEAN), intending reportedly to hold further demonstrations. A hot photo session for 86 pageant participants was held in Manila, Philippines, as part of the media presentation on October 30. A former US sniper instructor, nicknamed "Rambo" and currently serving 20 years in prison, has been accused of being part of an even bigger conspiracy. 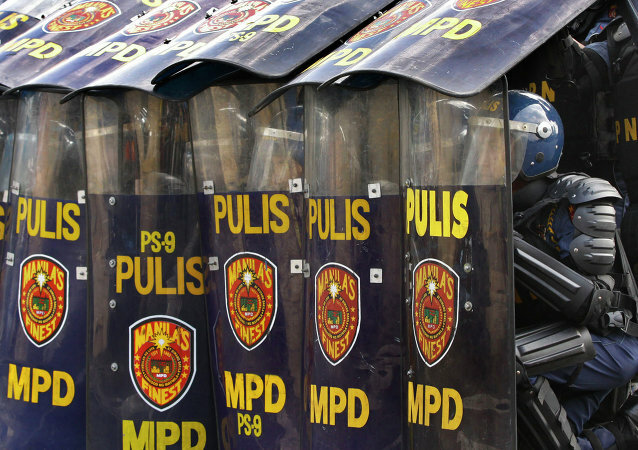 The Philippine city of Caloocan has fired around 1,200 police officers after some of them were accused of killing three teenagers and of robbing a house. Each officer will be retrained and evaluated, and those found to be innocent of wrongdoing will be assigned to other jurisdictions. Civil liberties groups in the Philippines cried foul Wednesday as police went door-to-door in poor neighborhoods, encouraging residents to take drug tests on the spot. Accompanied by community officials, officers carrying drug tests asked residents if they were willing to submit urine samples. According to reports, Filipino police have killed 26 people suspected of drug trafficking during 18 operations across Manila within last 24 hours.